Klingberg Family Centers’ mission is to build healing relationships that empower children and families to reach their full potential. The After-School Program will aim to help each student discover their talents and natural skills they have while finding ways to encourage them by cultivating a can-do atmosphere. Students will also get to hone their skills in culinary and auto repair and restoration. Reduced opportunity for risky behaviors such as substance abuse, crime, and sexual activity during the critical 3:30 – 5:30 PM time when students are unsupervised. The Klingberg Family Centers After-School Program will give impressionable middle- and high-school students the opportunity to explore new vocational skills. 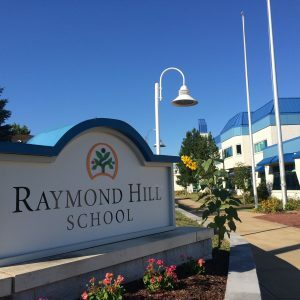 The program will take advantage of Klingberg’s Raymond Hill School (RHS), a 57,000 square-foot, state-of-the-art building in New Britain, Connecticut. Since 2003, RHS vocational programs have produced positive results in terms of the students’ involvement in school, off-campus employment, social skills, and future career plans. In the after-school culinary activity, students will learn the elements of good nutrition and participate in safe food handling and preparation. In small supervised groups, students will read recipes and identify and use kitchen tools. Culinary students will also work as a team to prepare and serve snack foods to other students and staff in the after-school program. In the auto repair and restoration activity students will get to know the different tools and how to use them safely. In addition, they will learn the fundamentals of auto repair and the workings of an automobile. Students will have the opportunity to repair small engines such as lawnmowers, snow blowers, and more. Overall, students will gain experience in basic body work and hands-on maintenance.